Late last fall I discovered the technique of “multiplicity.” Multiplicity is the common term for imagery that combines multiple exposures into one image. The effect is not only extraordinarily fun to create, but it also generates the wow factor from those that see it done well. 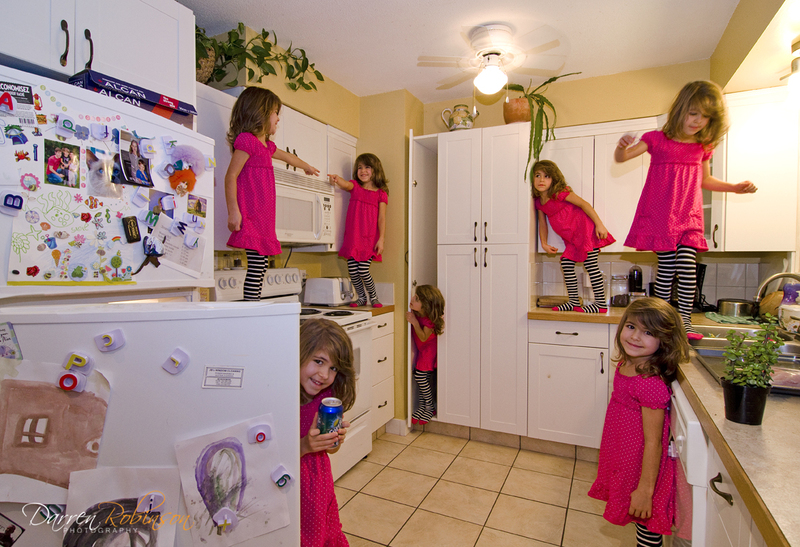 I’ve had much fun coming up with multiplicity concepts since then and the more I attempt these, the quicker the process becomes. Below is the result of my first attempt, I like to call it “The Party”. After seeing the results (and response) from the image, I was hooked. With my beautiful wife and gorgeous little girls away on a house hunting trip, this was the perfect way to keep myself busy for the weekend. 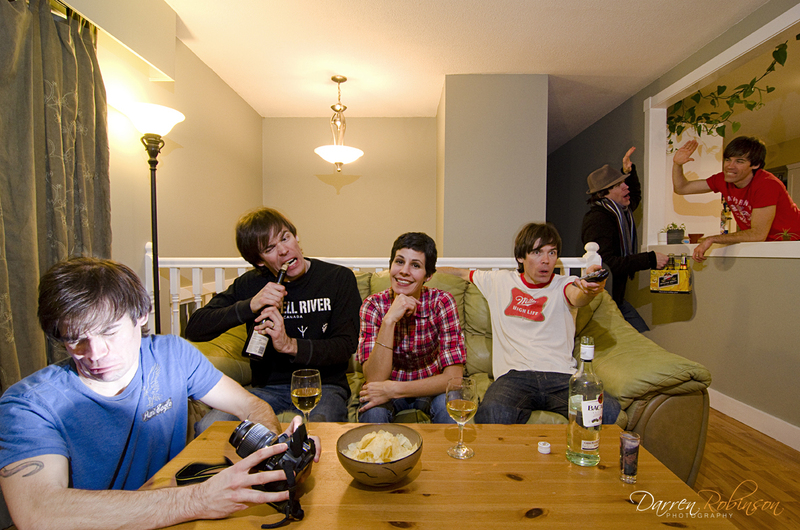 As such, other multiplicity concepts were born. For my second attempt, I took the project to the back yard for more canvas space. Setting my camera on the tripod and the shutter on self-timer, I went to work. 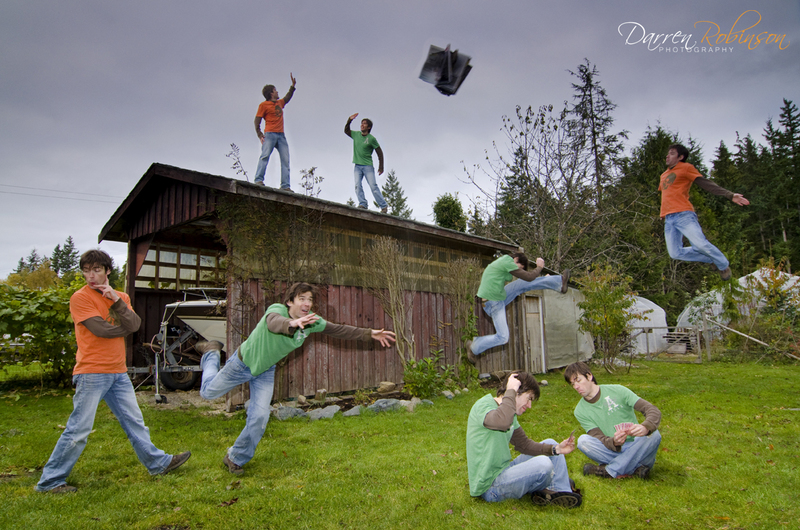 This time, I wanted to combine two new effects I discovered into one concept; multiplicity and levitation. The “me” being lifted into the sky was achieved by jumping off of an outdoor hot tub, over and over again, until I got the flying image I wanted. Took about 30 takes to get it (remember, I was on self-timer!). Man were my legs sore the next day. Then, in post, I simply “erased” the hot tub. 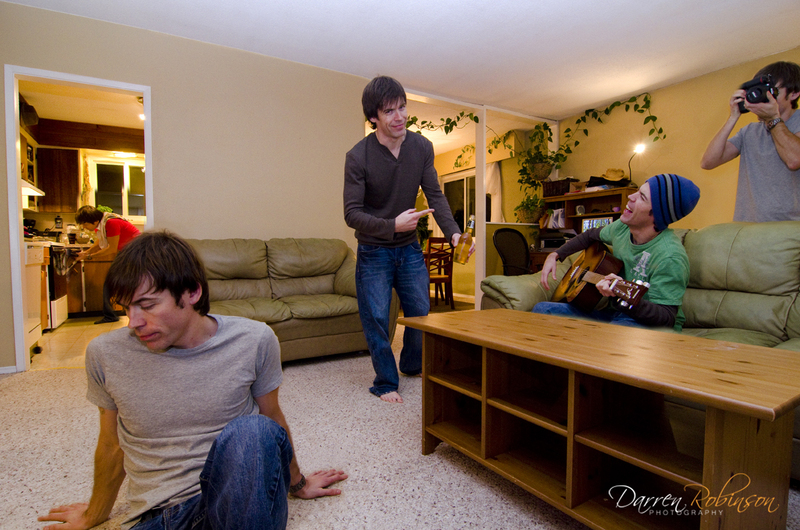 For more information on levitation photography, see the end of this post. The next day, I attempted another back yard riot. The original concept was supposed to be “Greens” vs. “Oranges”, but shortly after creating the image, I realized I forgot to change my shirt for one of the guys playing cards in the foreground. Nonetheless, it was great to practice the technique. 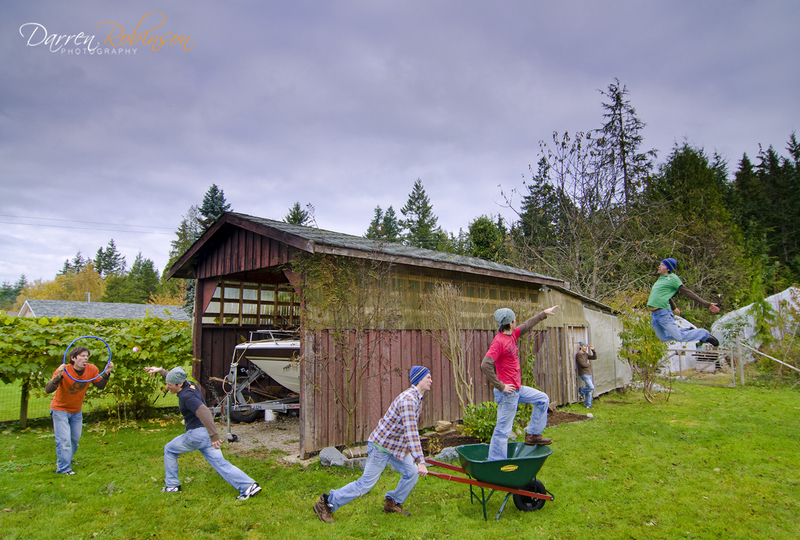 I had so much fun with multiplicity that weekend, that I showed up bright and early to work on Monday to attempt another one (I worked out of the Powell River Visitor Centre, so it only seemed right to have myselves helping….well, myselves). Now that I was quite comfortable with the technique I decided to try some shots using my beautiful daughters as models. 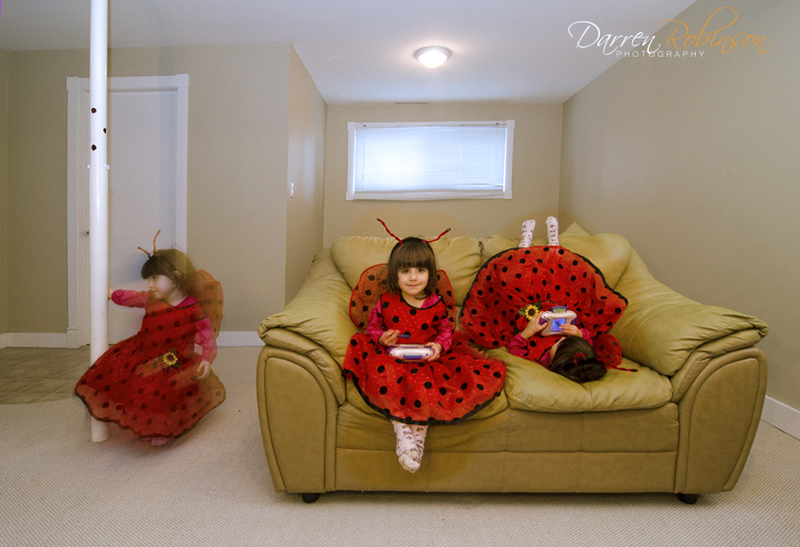 First up was my youngest, who wanted nothing more than to show off her Halloween ladybug costume. Then my oldest daughter, who, by the way, came up with most of the poses herself. 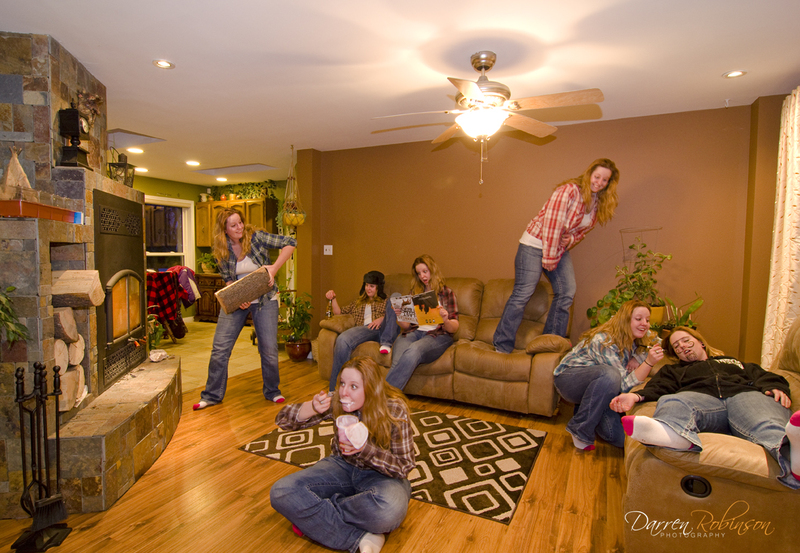 I now have many family and friends asking me to create their own multiplicity images. Who am I to say no? These last two were taken just this last weekend during a visit to Merritt to visit my family. The first one is of my darling niece, and her many personalities. And last, but in no way least, my nephew showcasing his hysterical sense of humour. 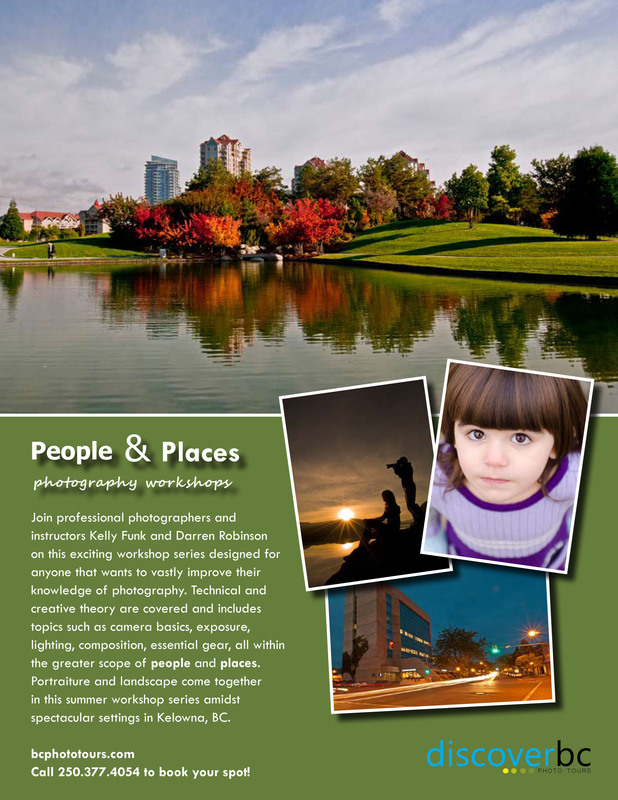 I have many multiplicity concepts brewing in my brain on how I can take this to the next level. Stay tuned as I work them out in my many heads. To see how this effect is accomplished, watch this video here. 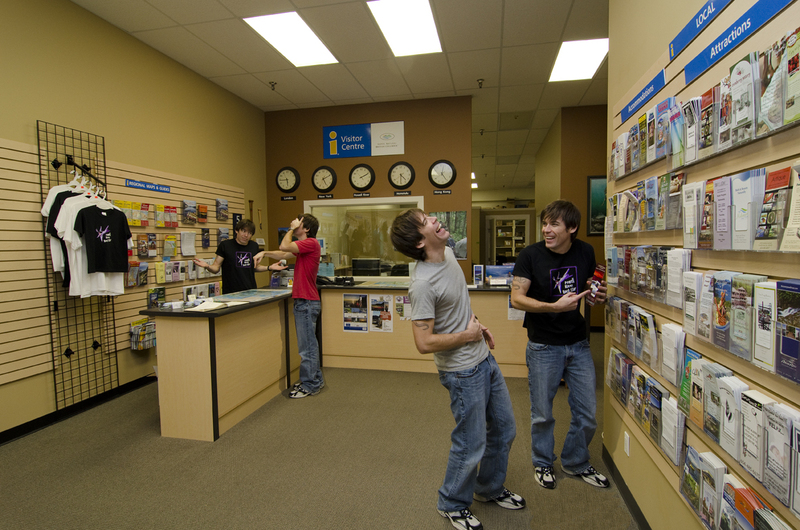 For a tutorial on levitation photography, click here.